Learn more about innovative approaches to teaching math concepts. I self-identify as a "math moron." At some point -- I think it was early junior high -- I lost the thread and nothing with numbers made sense anymore -- equations, graphs, functions, phone numbers, Chinese takeout menus, etc. I read the required texts, listened to lectures, did the homework, but nothing clicked. I now realize the problem was twofold. First, well, let's be honest here: I didn't study enough. That's on me, y'all. But the second issue was that textbook math instruction just doesn't work for me. Thankfully, that's something we, as educators, can and have been fixing. Look no further than the hundreds of Lesson Plans already on Common Sense Education. There are a dizzying number of great ideas there for innovative approaches to teaching using tech. I'd like to highlight a few here that focus on important concepts in the middle grades: unit rate and ratios. Kelly A. 's "Exploring Unit Rates" is a good place to start. This lesson hooks students quickly, showing them how unit rates have real-world applicability. Students break down prices at stores and find out which store truly has the best price per unit. It gives students a clear example of how math can be a useful tool in their daily lives. Justin B. 's "Reasoning Through Ratios in Basketball and Fast Food" might work as a follow-up, or as its own stand-alone lesson. It reinforces unit rates and expands the discussion to ratios more broadly. Like Kelly, Justin grounds his math instruction in the real world using something students are likely to be interested in -- fast food. What I love about this lesson is how it marries math concepts with wellness education. The final Lesson Plan, "Fibonacci and Leonardo" by Dena G., could be an extension to the previous two. Her lesson digs into a specific concept -- the golden ratio -- and illustrates it through art. Dena's lesson is well constructed; it hooks students, challenges them with puzzles, shows them real-world connections, and finally challenges them to create using the concepts they've learned. Best of all: All the apps and websites she uses are free! As I mentioned, these are just three hand-picked Lesson Plan out of hundreds, so make sure you browse and find something that sparks your interest. And, of course, I'd love to hear how you've taught ratios, or math in general -- let me know in the comments (and feel free to link to an Lesson Plan you've made). Photo: "The New Fred Meyer on Interstate and Lombard" by Lyza. Used under a CC BY-SA-2.0 License. 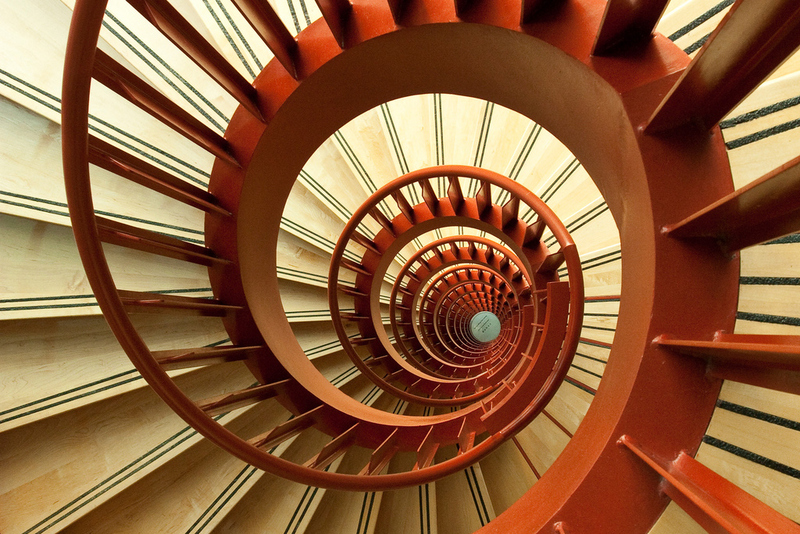 Photo: "Spiral out..keep going" by _T604. Used uder a CC BY-NC-ND-2.0 License.